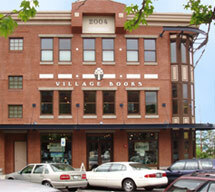 The Village Books Block is one of the original classic old blocks in Historic Fairhaven as well as the hub for locals. It is filled with historical charm and is the home to many of Fairhavens retail icons. The street fronts offer free parking and the backside opens out to the Village Green - a community green space that hosts events, a seasonal farmers market, outdoor movies, festivals and much more. 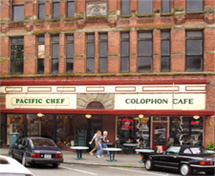 Exposure to high traffic count estimated at 5,000 vehicles a day on 11th Street in the heart of downtown Historic Fairhaven. Retail spaces are adjoining allowing for easy indoor customer flow from shop to shop.